To provide immediate and sustained assistance to firms and workers in a 13-county region in Southeast Michigan affected by reduced Department of Defense procurement. The coalition coordinates assistance to organizations that promote research, industrial development, and talent development relevant to the defense industry. Implementation of Michigan Alliance for Greater Mobility Advancement (MAGMA) efforts to identify members, establish charters, and create focused work plans, all of which began during phase one. Phase 2 will include a review of membership and identification of gaps, a focus on expanding employer convening, collaboration with stakeholders, and short-course development. Opportunity Detroit Tech (ODT), a partnership of IT companies that convene to explore talent needs in southeast Michigan, will roll-out an industry investment model to support a regional IT consortium, including employer convening and a collaborative apprenticeship model focused on incumbent workers. Support of Southeast Michigan Local Economic Development organizations through planning, coordination, and awareness of growth clusters identified during phase one: aerospace, autonomous aerial vehicles, 3-D printing, and lightweight manufacturing. This is tied to industry cluster development of the Michigan Defense Center’s Protect and Grow project. A Defense Contractor Transition Center for workers dislocated from defense contracts, other defense employment, or individuals seeking employment in the defense industry, a project that began during phase one under the Macomb/St. 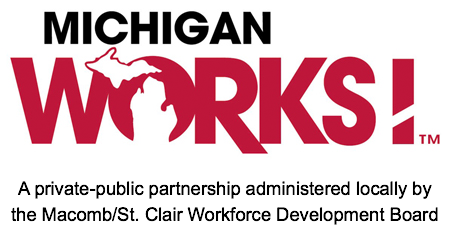 Clair Workforce Development Board. Maintenance of grant-related infrastructure and grant management. A connected and automated vehicles (CAV) social network analysis of regional defense stakeholders, broadly defined across industry sectors, to identify where thought leadership, partnerships, innovative thinking, and collaboration are already occurring to reveal key leaders who are missing from “the table,” and others who might provide critical thinking or serve as points of intersection across key initiatives. An economic impact analysis with special focus on how different federal contract assumptions affect area supply chain. This project is leveraging the MDC’s Protect & Grow project. A skills gap analysis to examine major occupational competencies that support the region’s defense industry, both now and anticipated in the future, resulting in two reports focused on skills gaps in cybersecurity and connected and automated vehicles (CAV). Asset mapping of regional infrastructure related to information technology and advanced manufacturing. An assessment of relevant education and training programs, incubators, R&D programs, special funding streams, unique testing equipment and facilities, etc. Gathered information is included in a searchable, online database. IT Asset Map can be viewed by clicking here. Advanced Manufacturing Asset Map can be viewed by clicking here. 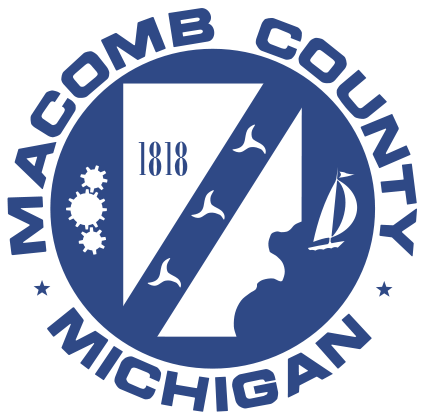 Action plans and staffing support for MASC, the Michigan Automated Systems Collaborative, a robotics and automation cluster in Southeast Michigan. Development of a regional plan that explores how best to align assets and efforts related to vehicle-to-vehicle and vehicle-to-infrastructure connectivity, as well as how efforts could support and align with the broader opportunity of connected products. This resulted in a thorough analysis of connectivity efforts and opportunities relevant to the strategic interests of the defense industry. Click here for the full report. Analysis to identify defense related supply chains, including companies, their defense-related contracts, technical expertise, and where possible, geographic concentration both within and outside of Michigan. Secondly, the launch of 3 related demonstrations of autonomous and connected project technologies, with targeted firms receiving technical assistance and commercialization support for their concepts. Creation of the iBridge Network Pilot Microsite for Michigan Defense Innovation Ecosystem and technology transfer plan to help spur regional innovation and further encourage meaningful linkages between partners within the region, but also BEYOND the region. The project will result in the creation of a summary-level technology transfer and commercialization plan that leverages the region’s defense relevant industry strengths. Click here for access to the site. Enhancements to the state of Michigan’s Bid Targeting System to better connect suppliers to business opportunities. Click here for more information. The Defense Contractor Transition Center to assist displaced defense workers in finding other opportunities. More focused staffing for Opportunity Detroit Tech, supporting the partnership’s ability to grow linkages to other IT employers in the region and engage them more broadly in talent solutions, like the Experience IT boot camp and the Regional Cyber Security Training Center. The formation of a regional connected life collaborative and a strategy and implementation plan for a Connected Life Lab (internet of things) aimed at entrepreneurship and commercialization around connected products. The development of Michigan Cyber Range facilities and Merit Secure Sandboxes at Pinckney High School and the Wayne State University Advanced Technology Education Center for education, training exercises and software testing. The creation of these cyber range facilities and sandboxes will allow use for private industry to harden and test products, provide a space for current cyber professionals to sharpen their skills, and also offer learning opportunities for students. The creation of a pilot virtual cybersecurity training center through a partnership between the Michigan National Guard, Michigan Defense Center, the Michigan Cyber Range, Wayne State University, and other Advance Michigan talent partners, including numerous community colleges and workforce development agencies. This is a virtual center that can be rapidly deployed as proof of concept for a larger brick-and-mortar center. Project management, including the development of grant-related infrastructure, including website, data purchases, and a forum for partner convening. In January 2018, the Center for Automotive Research released the Strategic Growth Plan for Connected and Automated Vehicle Assets in Southeast Michigan report.